center for contemporary art, sacramento: Call for Artists - Extended Deadline - Pink Week 20th Anniversary! 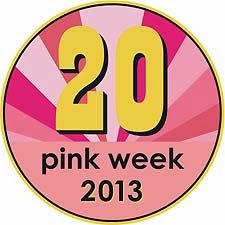 Call for Artists - Extended Deadline - Pink Week 20th Anniversary! Celebrating it's 20 year anniversary, Pink Week is a conceptual artwork created by Gioia Fonda in the form of a holiday celebrating the color pink. By honoring the color pink, in and of itself, the objective is to liberate it from any political, religious, social, or medical associations.The ultimate goal of Pink Week is to use art to foster a reexamination our preconditioned responses to color and the roles holidays play in our contemporary lives.